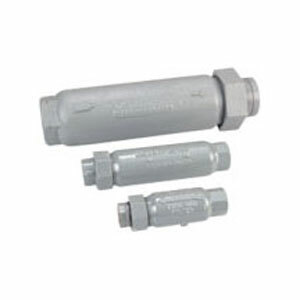 American Meter Filters effectively remove dirt, pipe scale and other particulate from gas lines, protecting meters, regulators and downstream gas equipment. CFR Flanged Filters are of fabricated steel construction and have two types of filter elements, the 10 and 25 micron size. Screwed CFR Filters are made of cast iron with MAOP of 160 psi and will remove particles down to 5 micron size. Pilot CFR Filters are of steel construction with a MAOP of 1000 psi and will remove particles down to 5 micron size and designed to protect pilot type regulators.